Mrs. Miner's Kindergarten Monkey Business: How Would You Like $25 to Amazon? How Would You Like $25 to Amazon? This giveaway will end Tuesday August 2nd at mignight E.T. So, essentially, you could have 7 entries to win $25 to Amazon-- easy schmeasy! Someone has to win, why not make it you? I am already a follower of your fab blog! I follow your cute, lil blog! I follow your blog through Reader! I already follow your awesome blog!! I follow your blog and I'm glad I do, too! I shared about your giveaway on FB. I added your blog button. I have you liked on facebook and follow. I posted about the give away on my facebook page. I follow and love your TpT store! 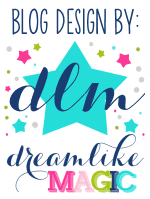 We now are followers of your blog! We added you to our blog roll. We put you on our sidebar! I currently follow your adorable blog! I just added you on fb! WheeB I also follow your FB! ... and I follow your TPT store ...! Last, but not least! Share your giveaway on Facebook! Your blog button is posted on my blog. I announced your blog and giveaway on my facebook page. I also tweeted it! I like your fan page on Facebook! I have your button only blog! As TPT says "This Seller is already in your favorite list"
Posted this on my facebook wall! I blogged about your giveaway...I've got a list of books I'm ready to buy!!! Fingers crossed I win!!! I added your cute buttong to my blog! I am following your blog, your TpT store and liked your facebook page. I'm a GFC follower (kconklin1028). Love you blog, thanks!